In my defense, the wheels were worth nowhere near that in the state I got them in. After spending the past 14 months on house related projects, I decided I finally needed to do something I actually enjoyed. 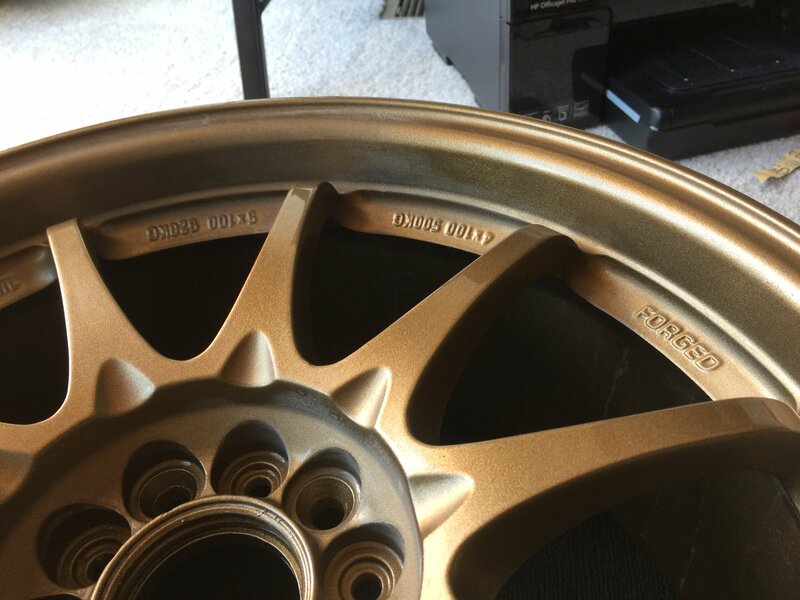 It would have been significantly easier and definitely smarter to just have them powdercoated since it is an infinitely more durable finish but I just needed a fun hobby right now. 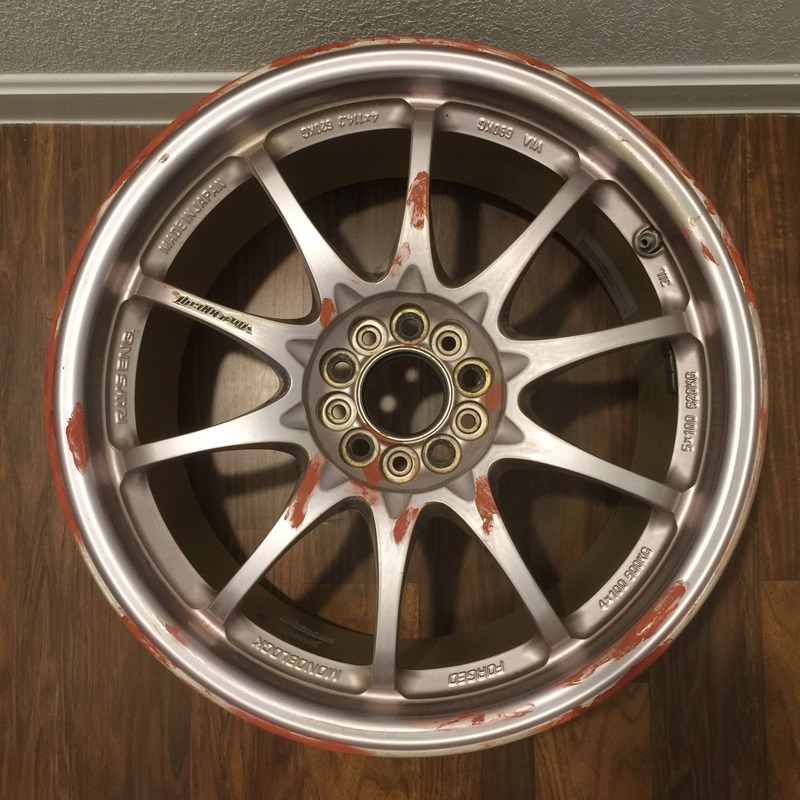 Honest thing is, the wheels may never see asphalt and could end up being turned into some JDM end tables. 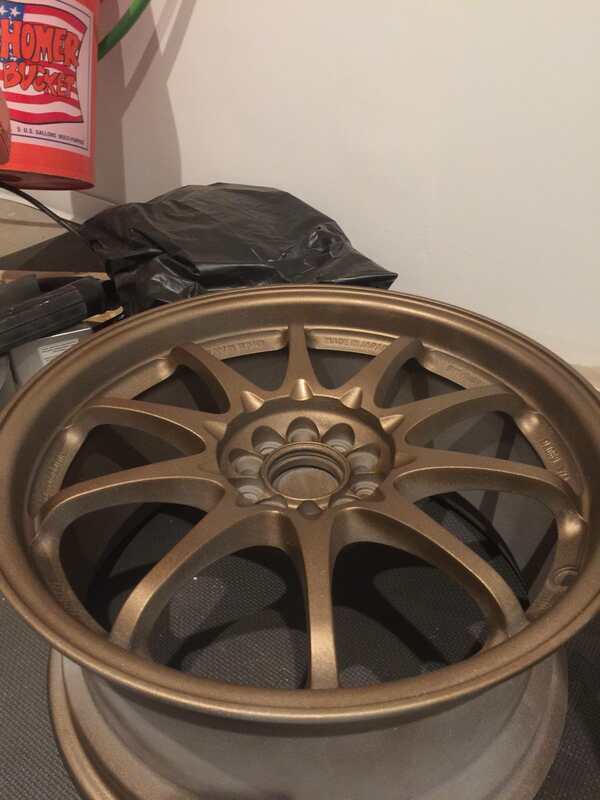 I have never spray painted wheels before and I started with reading every tutorial online possible. One thing I found was no one seems to want to put effort into this. Most threads described this as a 4 to 12 hour project. I spent a little bit of time per day over two months. In an effort to consider them refurbished, I tried to find replacement decals but sadly could only find knock offs. If there is interest, I'd be down to share a DIY. Turned out nice for rattle-can, nice jerb. Rattle cans get a lot of undeserved grief. It's all in the prep. The prep part is completely accurate. No it’s not exciting but it needs to be done for a proper finish. Any defect you leave behind will be magnified once painted. I will still say my rattle can skills are trash but that’s why I put extra effort into the prep part and this method definitely works. Will durability be an issue when you mount tires? Seems like the finish would get immediately blemished causing things to start peeling later... I'm a paint idiot though, so with all the prep that was done it may be ok!? That being said, looks durn good! What specific brand and color did you use? 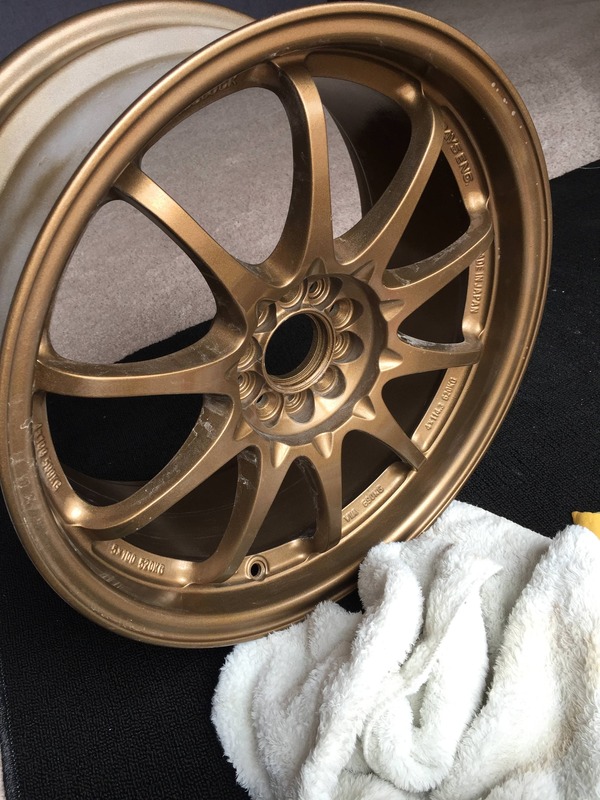 It looks like the Rustoleum vintage bronze, but i'm surprised how close to Volk bronze it looks honestly. Nice work! 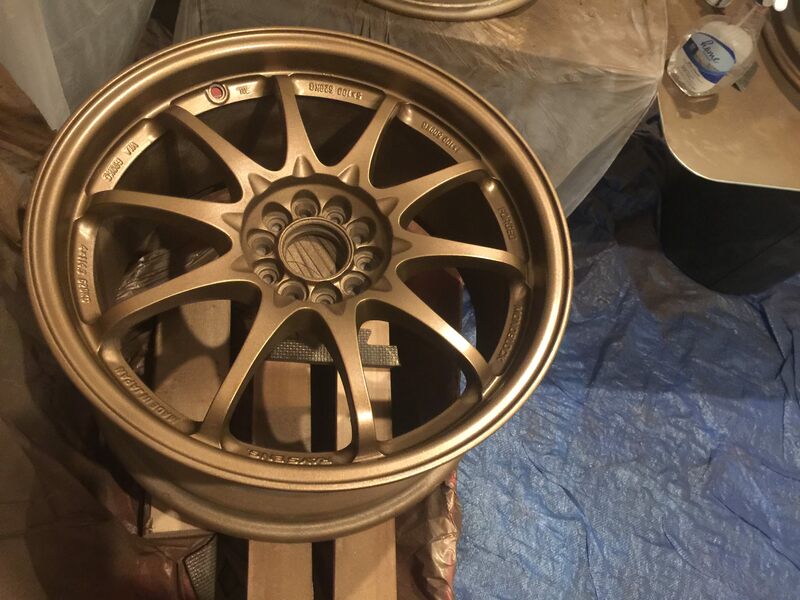 I sandblasted and painted some 04 Impreza wheels with a rattle can and they turned out half decent. 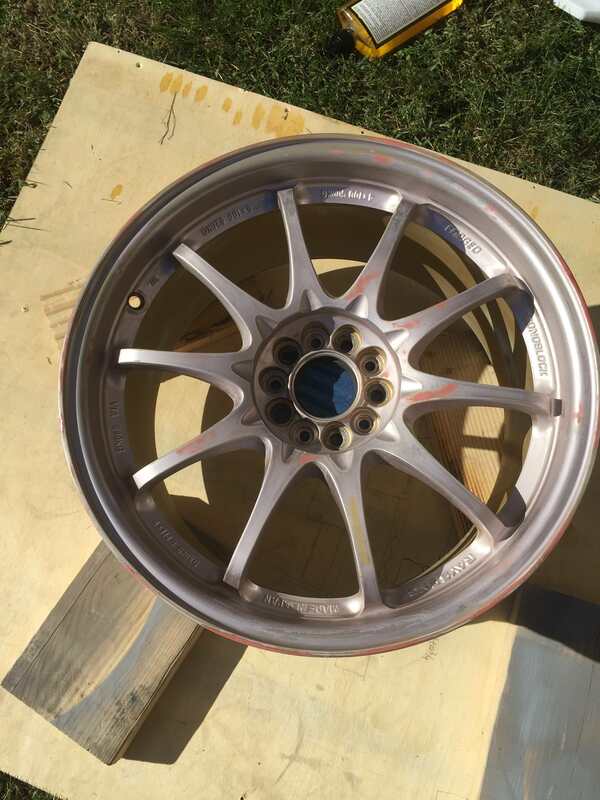 Not as perfect as powder coating, but for <$100, I cant complain. Last edited by D_Thissen; 11-15-2017 at 01:12 PM. SpeedElement (or any authorized distributor) can get a hold of replacement decals. 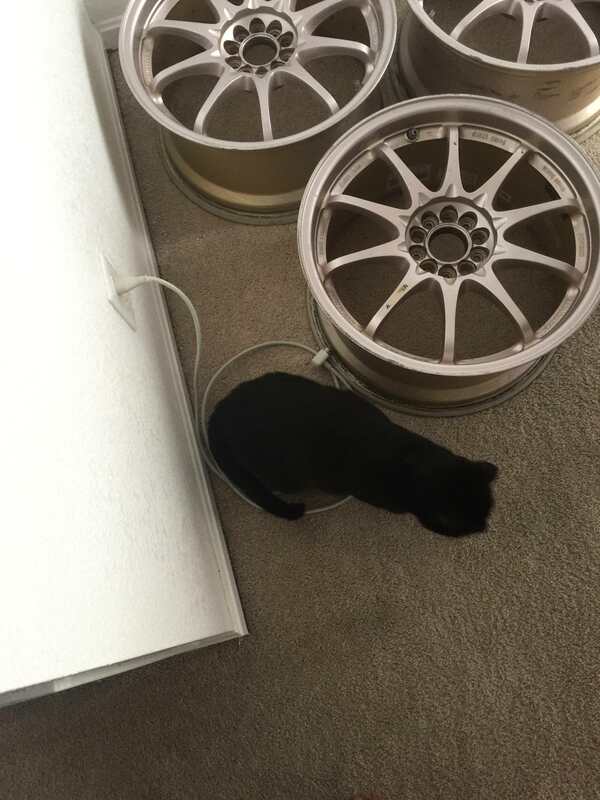 I got some along with center caps for my TE37 on my MR2. Nobody lists them for sale usually but they are available. 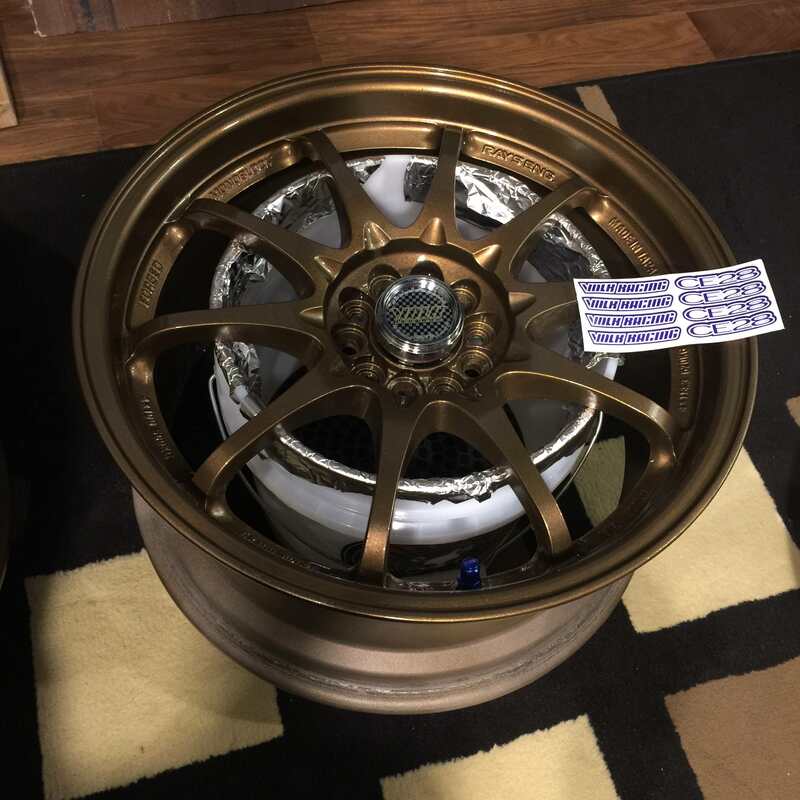 Nice color choice, can't go wrong with gold! Nice job! 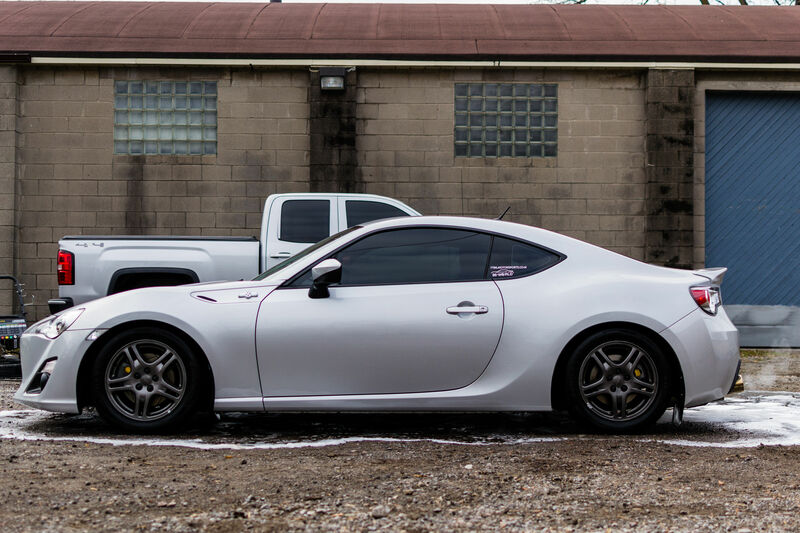 I "rattle-canned" my side skirts, BRZ fender garnish(s), and a few other parts on my car. If done properly, you can't tell. Thanks man! 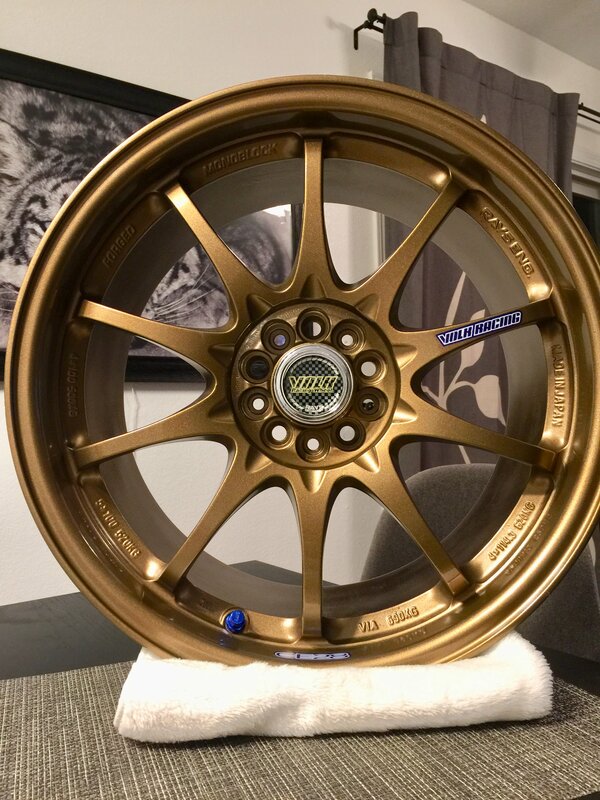 I’m hoping that because I went with a clear enamel, it should be strong enough to resist some abuse but may require a cash tip in advance when getting tires mounted. Rustoleum antique brass. The vintage bronze is a bit too dark for me and honestly my phone doesn’t do an amazing job of capturing the color well or even consistently. 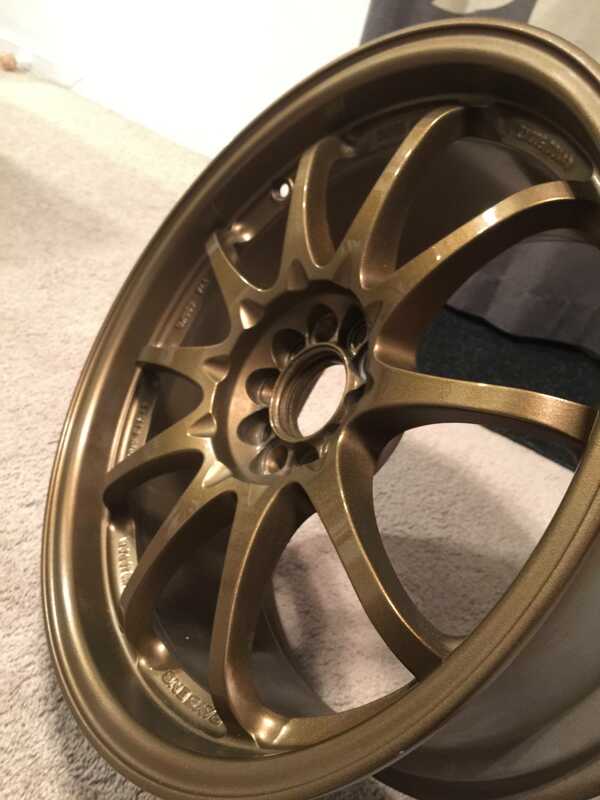 I’ve never seen bronze CE28’s in person but I’ve seen bronze RE30’s and I’d say mine are a bit lighter. Those look fantastic! What was the brand/color you went with? I might need to do that for my silver 07 Impreza next summer. Thanks! 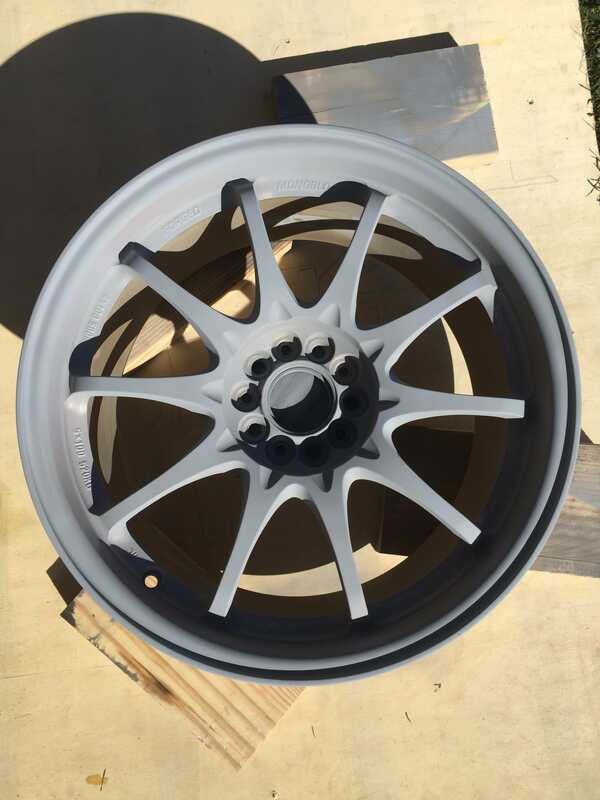 I used 4 cans of Dupli-Color Graphite wheel paint, and 1 can of their clear coat. The only issue I had with paint peeling, was on the plastic centre caps. I forgot to scuff them up a bit lol. 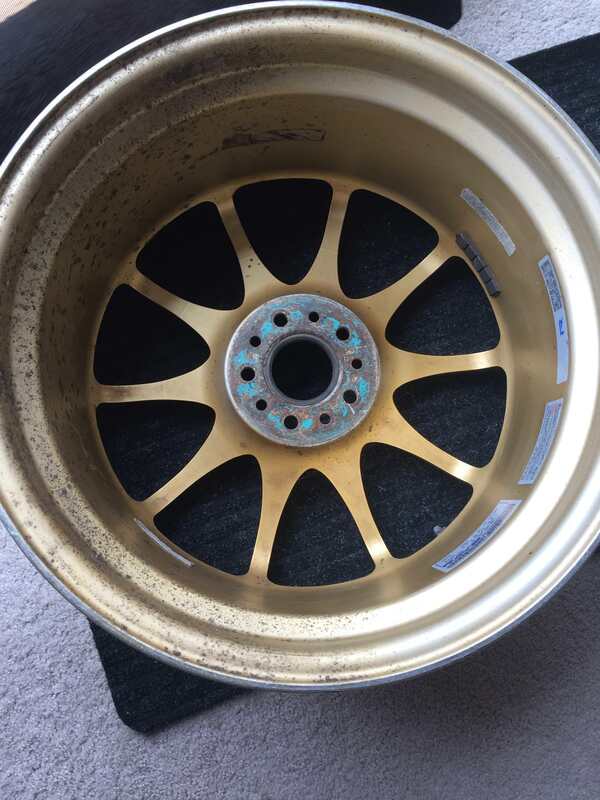 My OZ Ultraleggera's have quite a few chips in the paint from the last 3 years of driving. 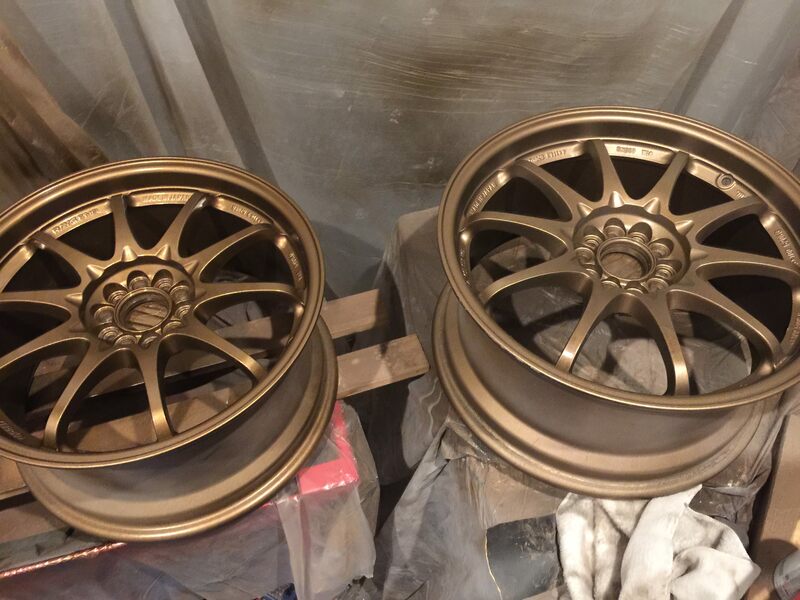 I might sandblast them and try painting them the same colour. Last edited by D_Thissen; 11-16-2017 at 09:55 AM. Let it cure enough before getting tires mounted and it'll probably do OK. I used what I suspect is the same clear enamel on my RacerX LCA's (raw aluminum) and they've held up quite nicely given the road debris that gets churned up in their direction. I can only imagine how much patience was required to do this. Nice work.